Sheets made from wood pulp? Yes, these 100% authentic Tencel bed sheets are made from lyocell, a fabric made from wood pulp cellulose. Although we think of trees and possibly wood splinters, this wood is processed to a very soft and durable , is environmentally friendly, it is fully biodegradable, and from a little research, I learned Tencel is sourced from sustainable eucalyptus trees raised for the purpose of producing lyocell, making it ideal for the environment. These sheets are incredibly soft and silky feeling; it’s hard to imagine that they are made from wood (although remember that paper is also made from wood!) but they appear similar to some of the highest quality sheets. They appear to be quite durable, and are wrinkle resistant, making them easy to care for. The fitted sheet has a nice, deep pocket and should fit most beds. The set comes with a fitted sheet, flat sheet, and 2 pillowcases. All are very well made and I expect will give years of use. 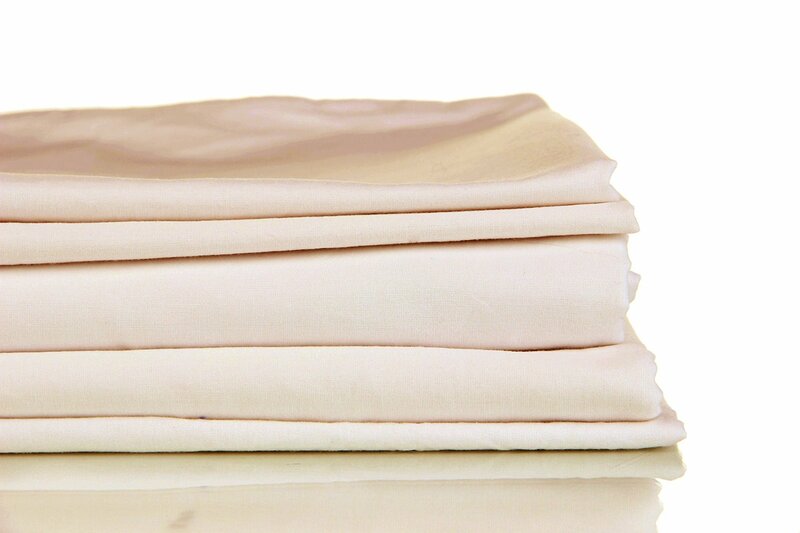 They are machine washable and come out of the dryer as soft and silky as new. I recommend these sheets–they are incredibly soft and silky, but also very environmentally friendly–a great combination!